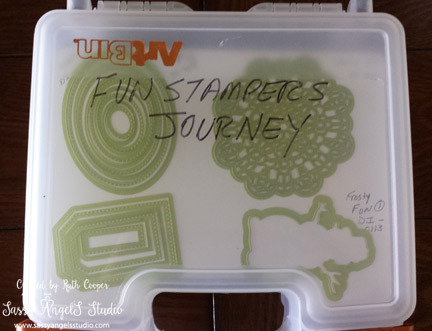 Organizing My Fun Stampers Journey Stamps – Welcome! Wow! Life has certainly been a roller coaster around here. Finding a new home & selling ours certainly takes time & adds stress to an already busy schedule. If everything goes well we’ll be moving in 2 short weeks into our new home complete with a classroom for my classes. Woohoo! 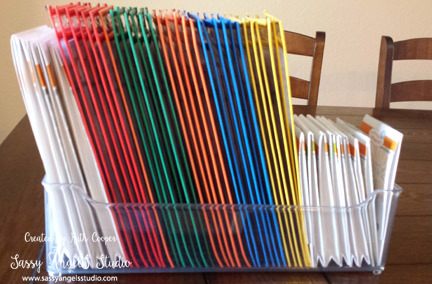 As you can see the C-Thru pockets come in different colors & can be used to further organize & divide my stamp sets. The Beautiful Bride (SS-0253 Spring Into Summer Mini Catalog) stamp set featured shows how the index & stamps appear front & back in the pocket. The bin rests on the corner of my work table within easy reach for my projects. I estimate it will hold about 40 – 50 stamp sets. I can fit 2-3 of the smaller ATS stamp sets into one pocket. A C-Thru pocket also currently houses my FSJ stencils. 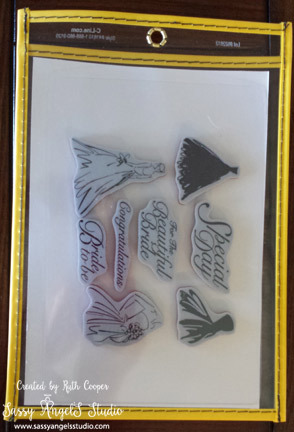 Now several of our stamp sets come with matching dies. 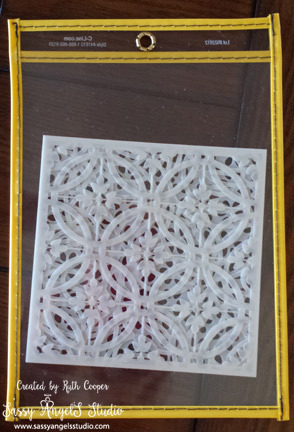 I don’t mind separating my dies into an Artbin Magnetic Die Storage Case. 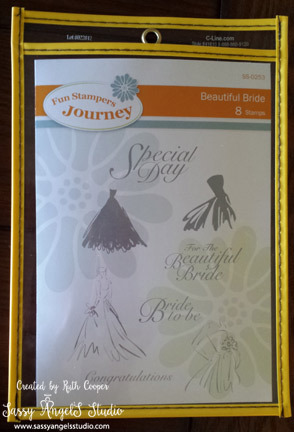 I now own 10 of them sorted by stamp company & 2 of them are for Fun Stampers Journey dies! I label each sheet with the Die set name, catalog number, the number of dies in the set & if the die is retired. A trick I have learned especially when teaching a class or doing a project with multiple dies is to keep one magnetic sheet available to keep all the dies on for that particular project. When class is done, I just return them to their correct sheet. My students & I are less likely to misplace a die this way, even the tiniest ones. Thanks for peeking in on my studio storage ideas. Don’t forget you can follow me on Facebook, Pinterest & Instagram too. And you might want to peek in on the Fun Stampers Journey Retirement sale. Retiring products are 40% off during May & June & when they are gone, they’re gone! Just click on the “Shop Now” tab above.